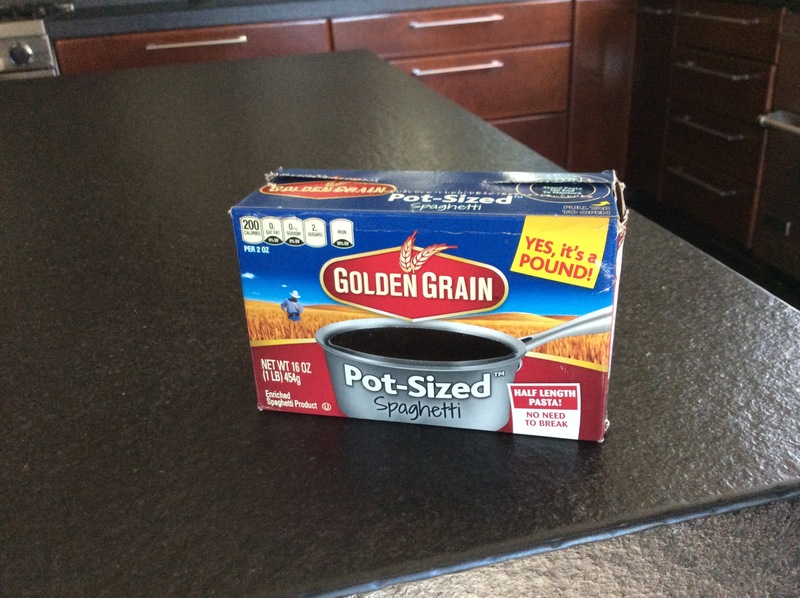 Well, the folks at Golden Grain have upped the ante on sliced bread with their pot-sized spaghetti. Best idea I’ve come across in ages but why did we have to wait so long, always breaking spaghetti in half over the pot of boiling water and having little bits of it end up everywhere while risking a nasty steam burn? Once again, what looked to be ugly fabric turned out to be a very wearable garment. 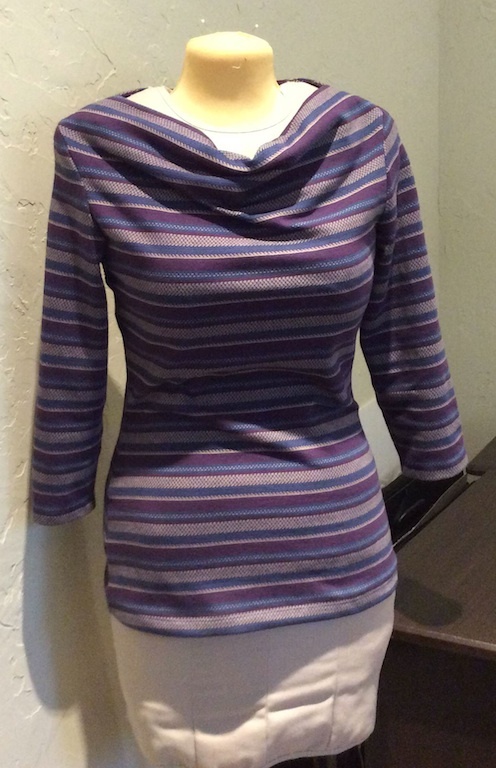 This is a test of McCall’s 6963, a Palmer/Pletsch tee with 2 cowl neck options. I made view C with the higher neckline and 3/4 sleeves in a straight 12. It fit perfectly when I used 3/8″ side and sleeve seams. This fabric is a tight knit with minimal stretch. In a stretchier knit, the 5/8″ seam called for in the pattern would probably work. I might also do an FBA rather than the narrower seam, but since the sleeves needed the same amount of alteration as the body, I think I’ll hold off on that FBA. I will be making this in another knit from the stash that coordinates with a sweater I’m knitting. It’s a great pattern and it’s hard to believe there are only 2 reviews of it on PatternReview.com so I might bestir myself to add a review. I haven’t done that in ages because every new pattern I’ve tried lately has had plenty of reviews and I’ve had nothing useful to add. This time I could mention I lowered the sleeve cap, which neither of the other reviewers seems to have done although one mentions how high the cap is. My sleeve would not set in without that minor alteration.